TYGON E-3603 non-DEHP laboratory tubing delivers the same superior performance you've come to expect from TYGON products – but now in a formulation that contains a widely accepted substitute for DEHP plasticizer. TYGON E-3603 laboratory tubing is specially formulated for resistance to flex fatigue and abrasion, handles virtually all inorganic chemicals found in the lab, and is less permeable than rubber tubing. The glassy-smooth inner bore helps prevent buildup to facilitate cleaning. TYGON E-3603 vacuum tubing shares all these performance features and has extra heavy walls that will withstand a full vacuum at room temperature. 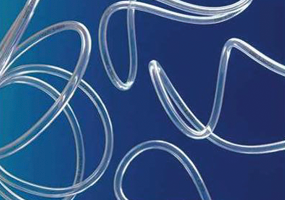 To further discuss the TYGON Laboratory Tubing, and how we can help you. Please contact us, or request a callback at a convenient time to suit you.